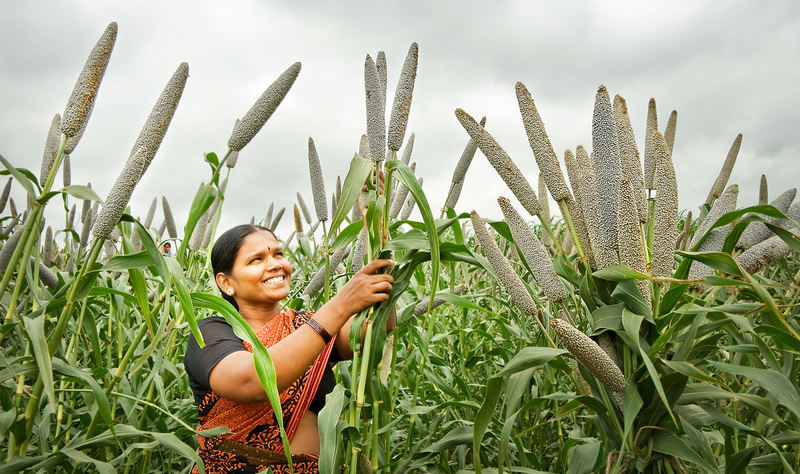 Jamie Oliver’s foundation highlights millet as part of the global food revolution, changing the face of nutrition at home and abroad. With our planet’s growing population, rapidly decreasing land availability and increasingly unpredictable climate, we need to take a closer look at how we feed ourselves. Are we making the most of the space we have? Are we growing food that’s water-efficient and low in waste? Are we getting as much nutritional bang for our buck as possible? These questions have led a range of innovators to look for sustainable solutions, transforming the way we view, grow and consume food. Here are four LAUNCH Food innovators who are changing the face of nutrition at home and abroad – Entomo Farms, CoffeeFlour, International Crops Research Institute for the Semi-Arid Tropics (ICRISAT), and HarvestPlus. Many people associate the word ‘millet’ with bird seed, the pale, straw-like grain we feed to pet budgies and parrots. What gets forgotten is that it’s also a key component in the diets of millions around the world, and has seen its popularity boom in recent years. One of the advocates for millet as an alternative to more common grains such as wheat is the International Crops Research Institute for the Semi-Arid Tropics (ICRISAT),which has launched its Smart Food initiative to help bring millet and other ‘smart foods’ back into the mainstream. “We say a food is a ‘smart food’ if it meets three criteria: good for you, good for the planet, and good for the farmer,” says Joanna Kane-Potaka, coordinator of the Smart Food initiative and Strategic Marketing and Communications Director at ICRISAT.